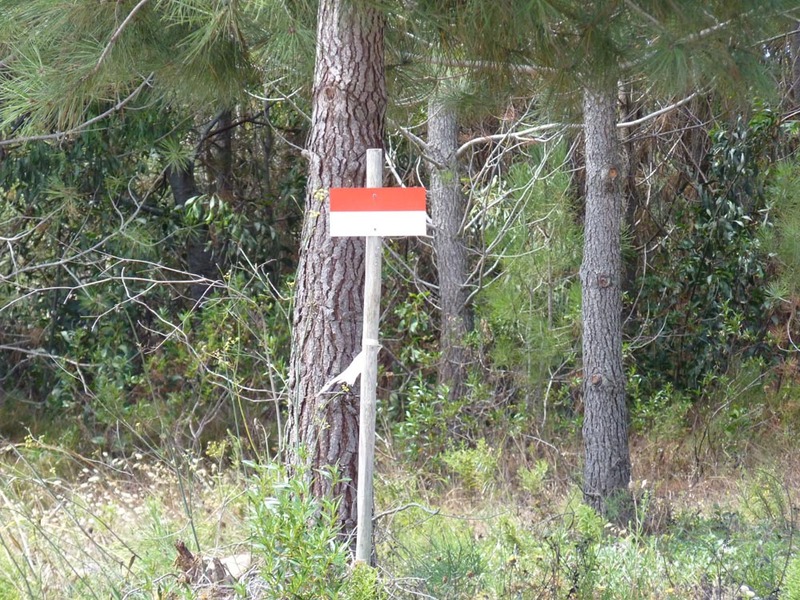 Are you considering hiking, walking, biking, birdwatching etc off-road in the Portuguese countryside? If so please note the Hunting season runs from the 15th August through to the end of February and there are certain signs you need to be aware of. 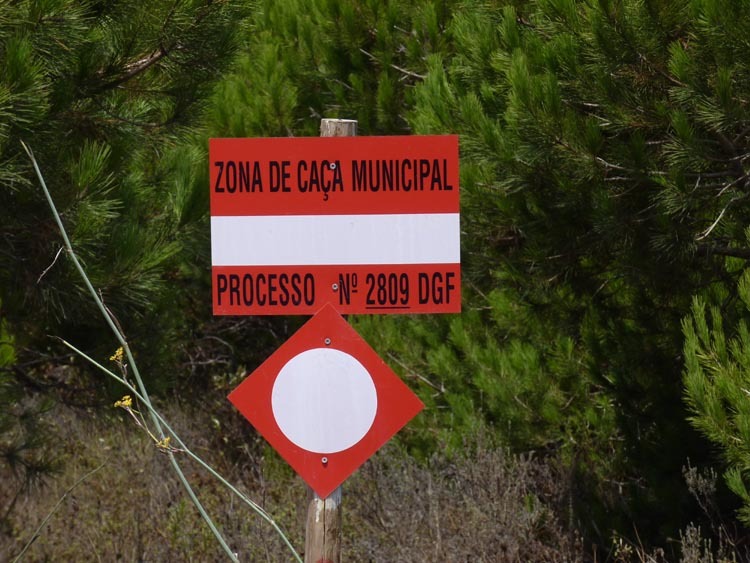 Research on the AFN/Ministério de Agricultura website also revealed there are currently eleven different hunting signs which indicate where or where not hunting is permitted. Armed with my camera I decided to track down and photograph as many of the signs as possible, but to date I have only found three signs which were clearly visible from the road or track. I have shared these below for reference and will add the others if and when I see them. 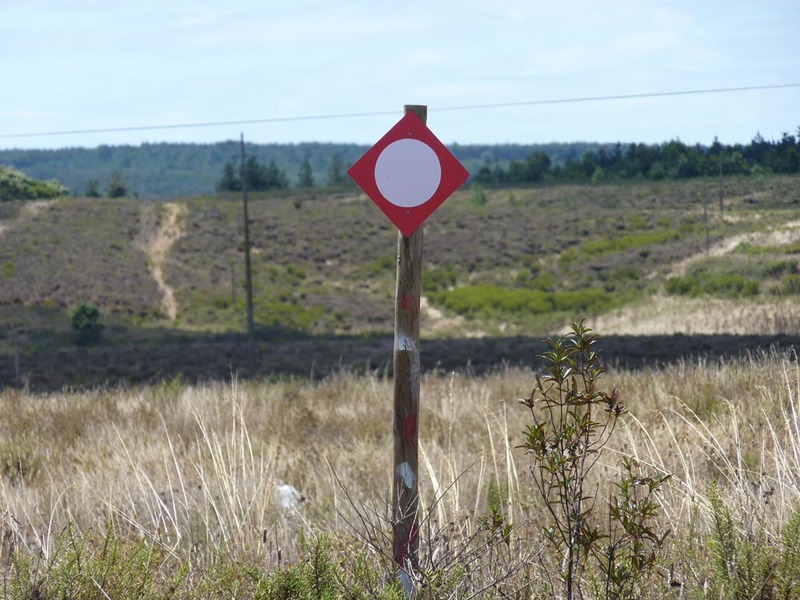 If you see any further signs on your travels please photograph and send them on and I will include here. Hi EO, the scary thing is I never knew what they meant until recently! Think about the poor tourists!